Welcome to The Salty Eclectic. I am your host; T.J. Allen. I am honored you stopped by. Here we look at the world a little differently as I try to look at it through the eyes of God. He created it all and all of it for a purpose. That includes you. We don’t always understand, but we can try. That is why I love to read and research. I want to know why. I have been a Christian for over 4o years. Wow, now I feel old. I have been writing even longer than that. In that time God has given me a wonderful wife and four children and quite a roller coaster ride of a life. I have lived in three different states and have had three different last names as my mother has been married three times. Something about that number three, except with my children. I hope to help someone find their way to God or walk a little closer with Him. Hopefully, I can share some of my mistakes and what I have learned. They have helped me to see life more fully and I notice things maybe other people do not. I started blogging about five years ago with an occasional topic once every other month, but the site I used had too many ads and some of them I didn’t like. I did like the topics as did others and I have included one here from that site as well as a few from this site. I usually blog two to three times a week and send the links out via email. They will entail anything from walking closer to God to poetry or how God is seen in nature. Speaking of nature, I am a beekeeper. I love my bees…and honey and all things honeybee. Will you join me on this journey? I would love to have you along. To the right you can subscribe to my blog and join the journey. You can also join the journey through the links below. Just for joining our journey I would like to give you a free ebook copy of The Incredible Honey Bee: A Layman’s Reference in either ebook or audiobook format. 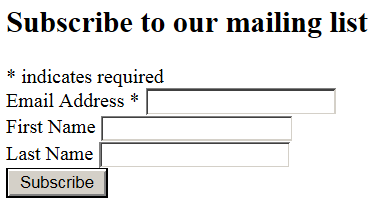 Click on the email link “Join Our Email” in the upper right of this page and fill out the form. Being Fully Human: Claim Your Birthright. Christianity Coexist? It Cannot Happen.